DRASTICALLY REDUCED>>>> MOVING OUT OF STATE.....Very UNIQUE waterfront property with 1960 sq ft, this home screams LOCATION , LOCATION, LOCATION...with a WATER VIEW from each room in the home..... 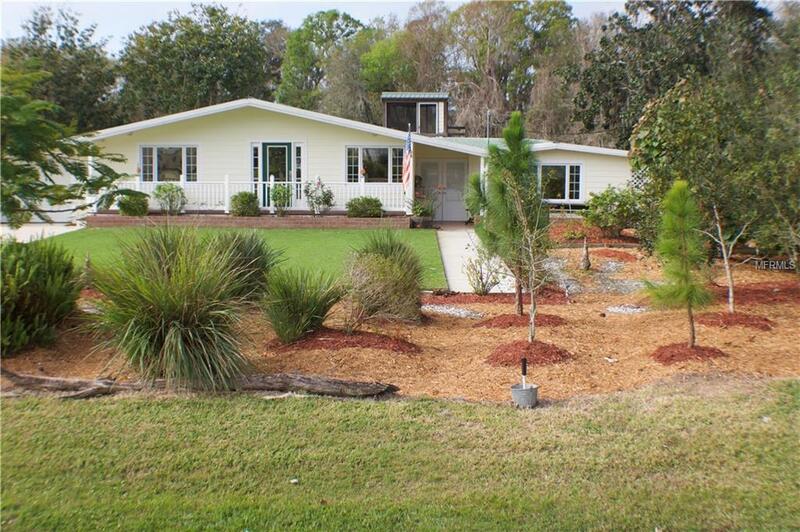 It is located on beautiful Lake Hatchineha on the Kissimmee Chain of Lakes. From the dock of this lovely home, you can navigate through the waterways of Florida to the Gulf of Mexico and the Atlantic Coast. The home faces the lake and sits on a large canal that is less than 100 yards to the lake. A two story dock with screened observation room. Also includes built-in BBQ, and potting bench/fish cleaning station, four boat slips and electric lifts and attached boathouse. Best of all, the view from this beautiful dock is of the natural Florida shoreline-NO neighbors' backyards to look into or look into yours. The renovation on this home was completed 2012. 3 bedrooms and 3 full baths, jacuzzi tub, his & her closets with organizers. Formal dining with built in computer hutch/office space, Updated kitchen with composite granite counters and soft close cabinetry. In door laundry, vaulted ceilings, Southern yellow pine hardwood floors. Ceiling fans throughout with a unique dual fan in living room. Dual pane double hung windows for easy cleaning from the inside. Attached single car garage with work/storage room (air-conditioned). Retractable awning on all west facing windows/doors. Well with water system. Front/back yards are all on automatic sprinklers. Home also has a tin roof and 2 AC systems. Welcome to paradise.